I’ve not blogged here in a long while now. Gone, but I hope not forgotten so much that picking it up again is going to be too much of a shock to you! 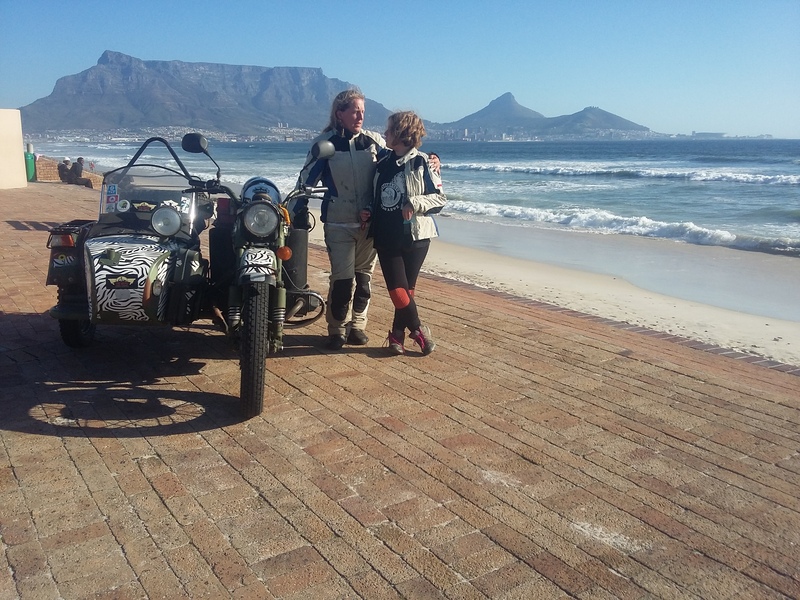 This last year and a half has been busy to say the least preparing and taking a journey across Africa with my 10-year-old daughter on a motorbike and side car. Certainly a lot of growth has happened for me. At times it didn’t seem like it though. At times it was stressful, frustrating, and exhausting. My mental state was absorbed in being a mother, so everything I was doing and thinking was coming from that origin, and creative endeavours took a back seat. There is a lot to be said for stepping out of one’s cocoon that we create around us; for doing something that is completely different and exposes us to real life and real people we would not otherwise have met. Both my daughter and I have come back tangibly different. Happier within ourselves; somehow more fulfilled and, as I turn my mind back to blogging on this site again, I realise that I have come back with a deeper and clearer view of the world around us and perhaps that is because travel, by default, exposes you to the flow of the energy and confirms what is known and exposes you to experiences that challenge and develop that knowledge and thinking about how that energy flows, it’s purpose. I don’t know what blogs will flow from me from this point onwards. I hope they are thought-provoking, maybe insightful, and perhaps at times inspiring. What ever comes next – it is good to be back at my desk writing again!